Leaving a cavity unattended is one of the worst things you can do for your dental health. 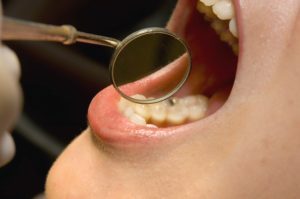 When treated early, small spots of tooth decay require little more than a quick, painless filling — but when ignored, a cavity can turn into a significant problem that costs you more stress, pain and time in the long run. Keep reading to learn more about tooth decay and how you can catch small cavities earlier in 2016! Tooth decay comes with a host of serious side effects — but the good news is that it’s also incredibly easy to prevent with a solid oral hygiene routine. When it comes to keeping your mouth as healthy as possible, we can’t stress enough the importance of good prevention. Dr. Kogan wants to remind you it’s far easier to stop dental problems from ever happening in the first place — and you can do that by following these daily healthy-tooth guidelines. Brushing your teeth for two minutes, twice a day is without a doubt one of your biggest defenses against tooth decay and gum infection. Unfortunately, too many adults fall down on the brushing job. Make sure you’re cleaning your teeth in the morning and before bed, for two minutes each time. Try watching the clock until you’re used to what two minutes feels like — or better yet, invest in an electric toothbrush, which will probably feature an automatic timer. It’s not optional — floss is the only method you have of removing the leftover food particles and bacteria your toothbrush just can’t reach. Make sure you’re flossing at least daily for the very best oral health. Your biannual visits to The Dental Center of Westport are the final requirement for excellent dental care. When you stay on top of your checkup and cleaning, you’re giving Dr. Kogan and her team a chance to look for small signs of decay and infection — and stop them early when they do occur. If it has been more than six months since your last checkup and cleaning, what are you waiting for? Contact The Dental Center of Westport to book your visit today!